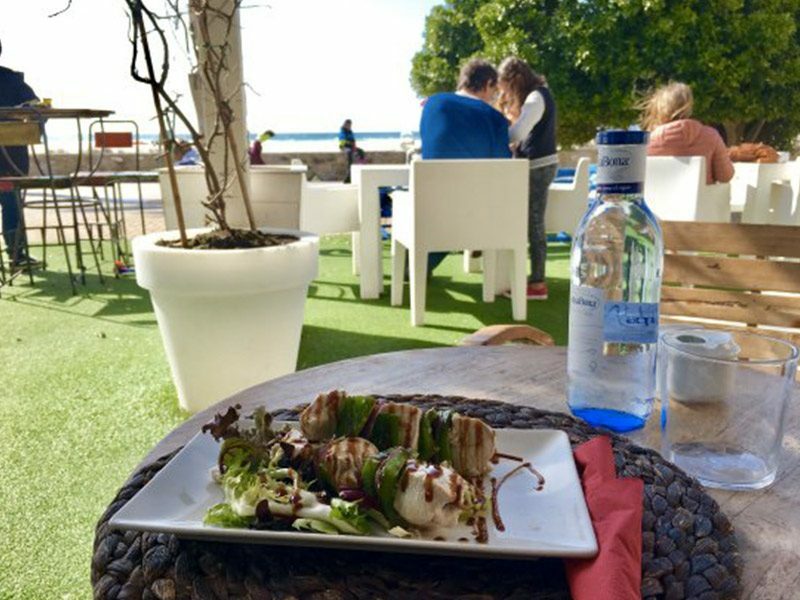 Let's grab a drink in a 'Chiringuito'! I’m sure if you come to Tarifa, spend your holidays in Spain, it’s because you are a kitesurf lover or you just want to give it a try. 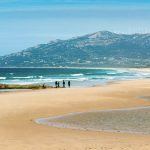 Then, Tarifa is the surfer paradise for its windy city but also its surfer lifestyle. In this town you live in the fullest world of the beach and surfing. 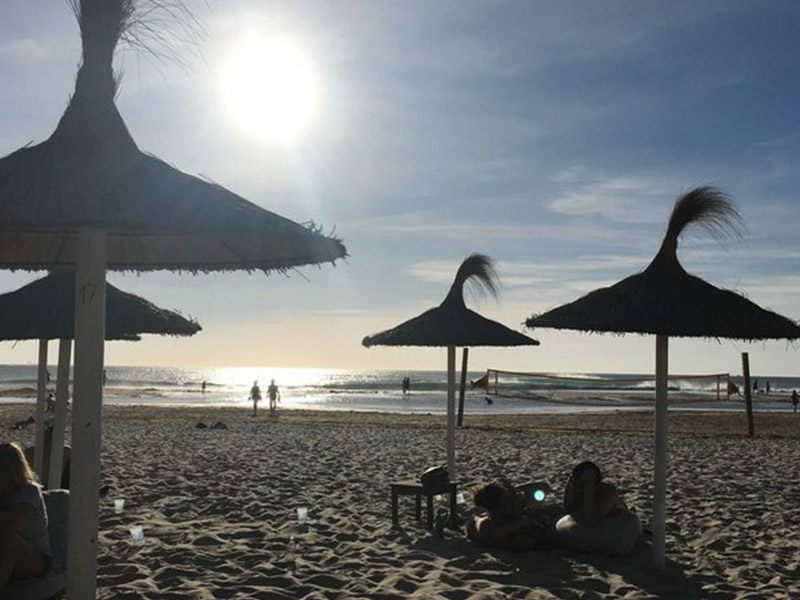 It’s for this reason that on its beaches you will find a wide range of beach bars called “Chiringuito” where you can find good atmosphere, good drinks and a perfect menu to enjoy by the sea. 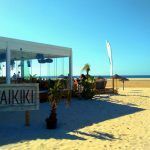 So if you want to enjoy a fresh juice before your kitesurfing lessons, eat something between two sessions of freestyle or have a beer after a full day kiting, have a look on our list of the best Chiringuito in Tarifa! Enjoy the energy of this town and soak up the beach tradition! 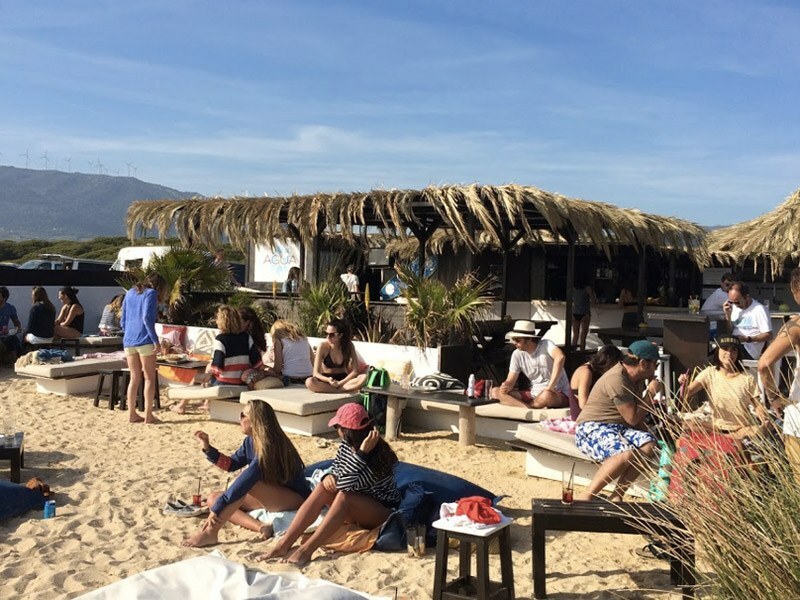 El Chiringuito Agua in Tarifa is one of the best beach bars. If you take lessons with us, for sure you will know this place. 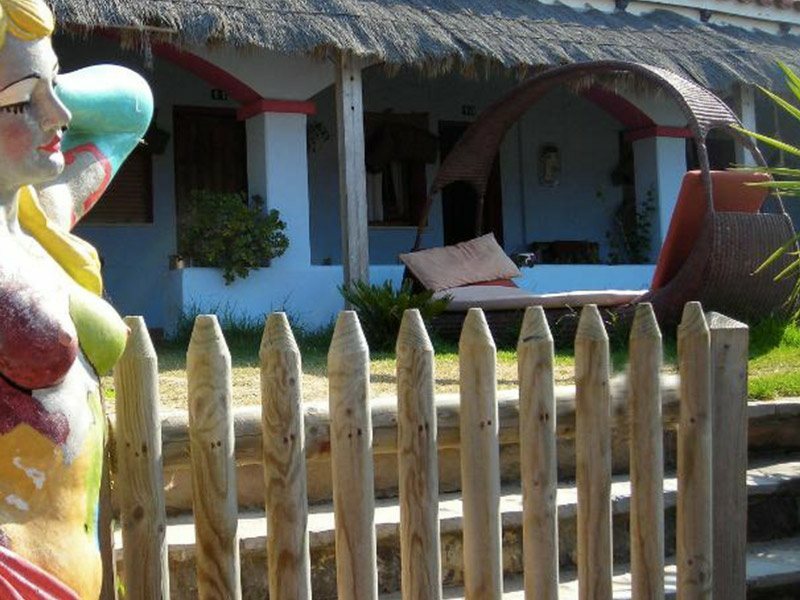 It is located on the beach of Los Lances Norte, meeting point of most of the kitesurf schools. 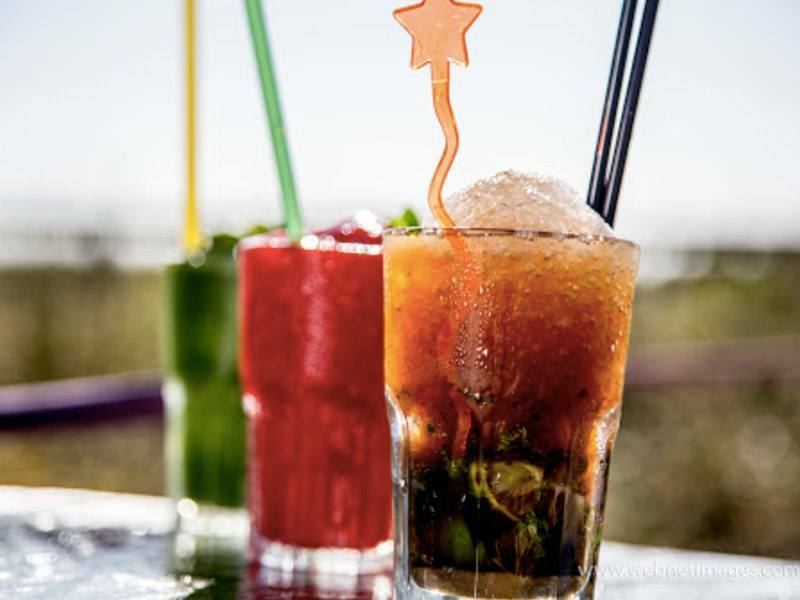 The place is on the beach, perfect to relax, enjoy a cocktail or a mojito while listening chill out & lounge music. 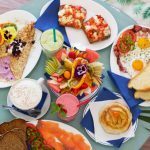 A really nice atmosphere where you can eat simple but good dishes by the sea and where you can admire performances of the other kitesurfers while drinking a fresh juice. 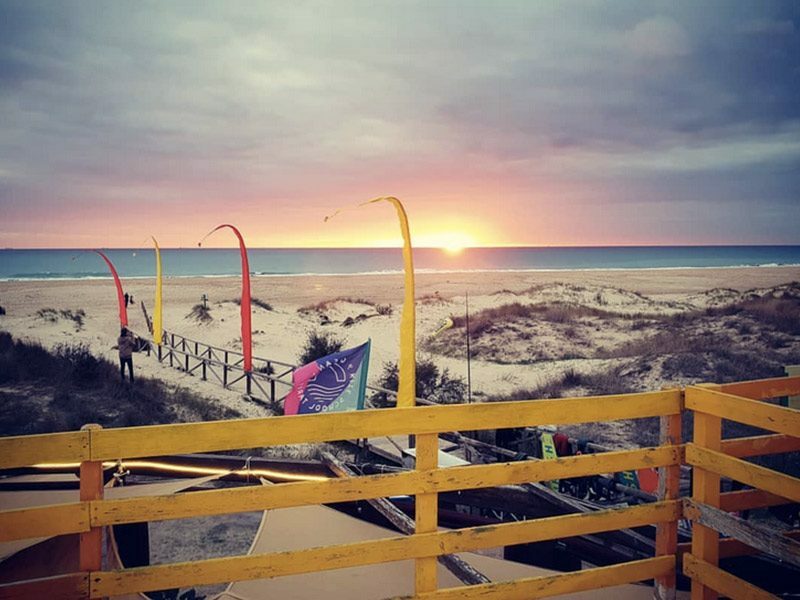 The best and highly recommanded things, it’s having a beer there after a kiteboarding session and watch a postcard-worthy sunset, when some of them will improve their balance on the slack line to win their “Mojito”! 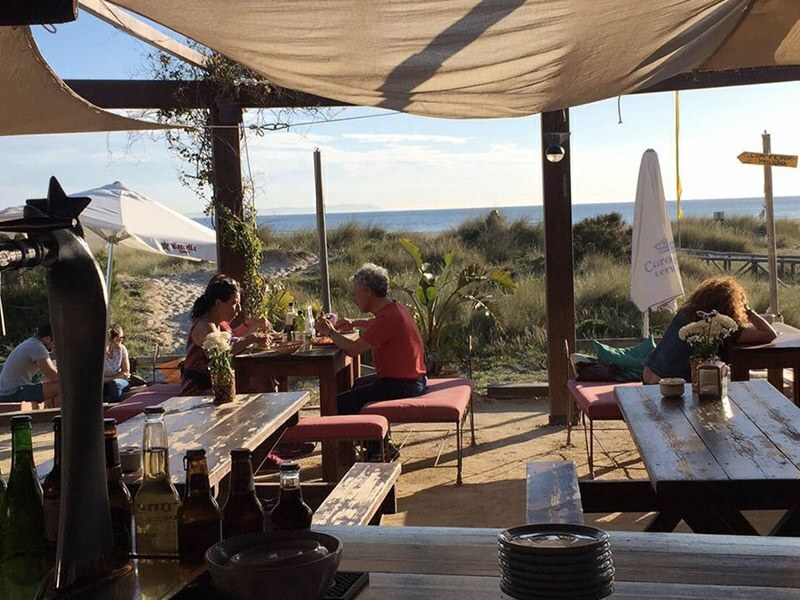 Close to the Chiringuito Agua you will find the Waves bar, situated right on the beach, surrounded with sand dunes and pine trees. Enjoy Beds, chairs and wind protection. 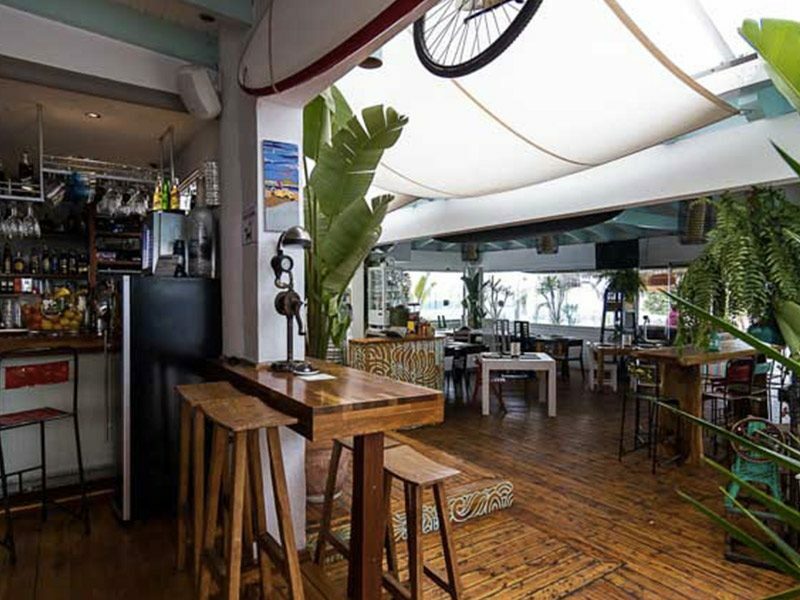 They have varied food, smoothies and juices, paellas, cocktails… Music, Live DJ. On the weekends they often organize parties such as Full Moon party. It is very popular with surfers who take a break from their day on the water. 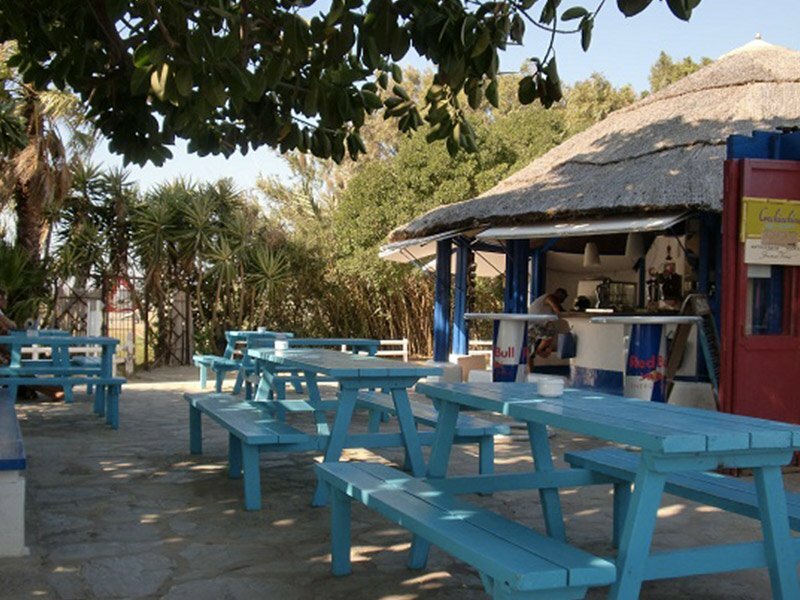 A young and relaxed atmosphere and good drinks is what you will find in this beach bar. 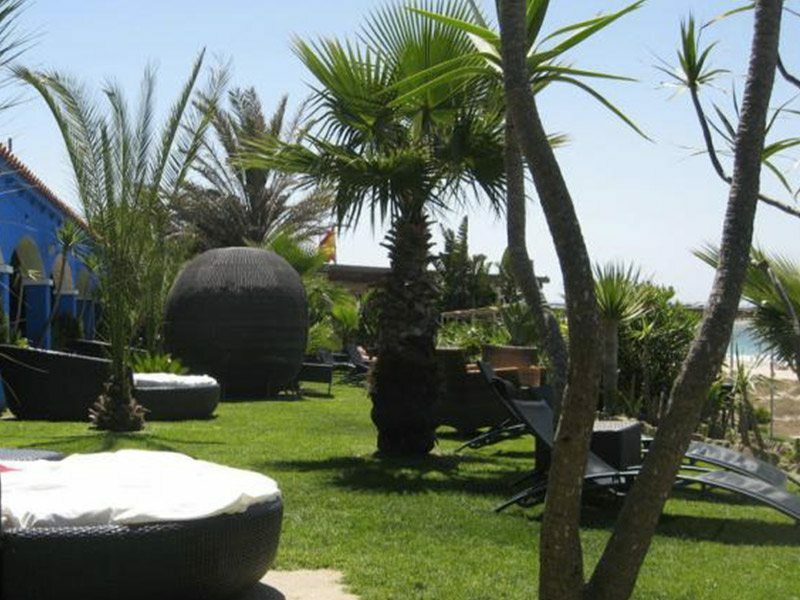 A very nice place to relax in Tarifa. 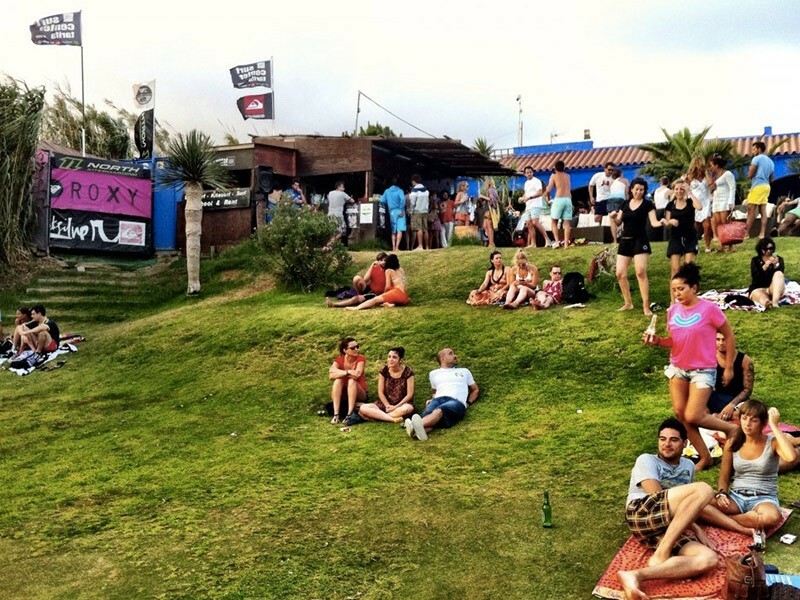 This beach bar is also an hotel with a Kite school. You can enjoy the beautiful view or lay down on their large garden just right on the beach. The food is not served in the bar area only in the hotel restaurant. They have a vast choice of good dishes, good music and having a mojito there for the sunset is priceless. They have sometimes live music and always good vibes. A fancy bar with a higher budget. 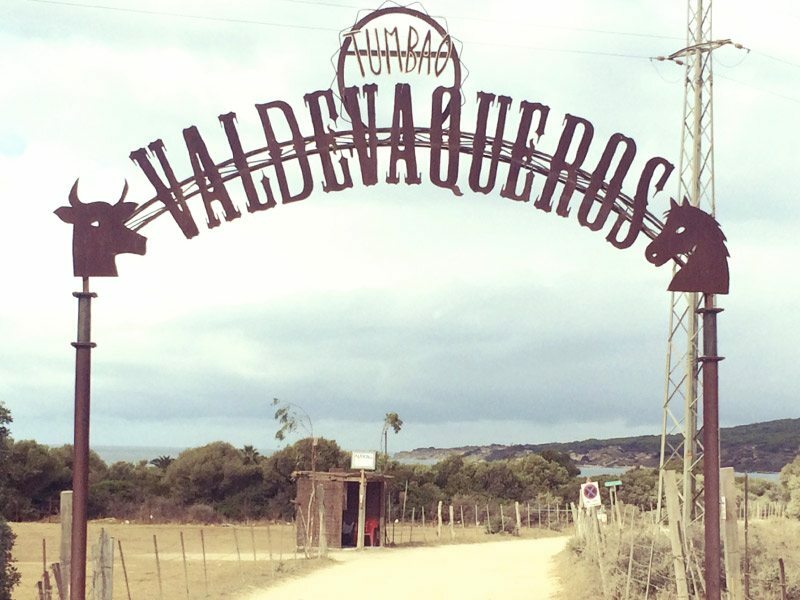 It’s located in the beautiful beach of Valdevaqueros, a famous spot to do kitesurf and windsurf in Tarifa. 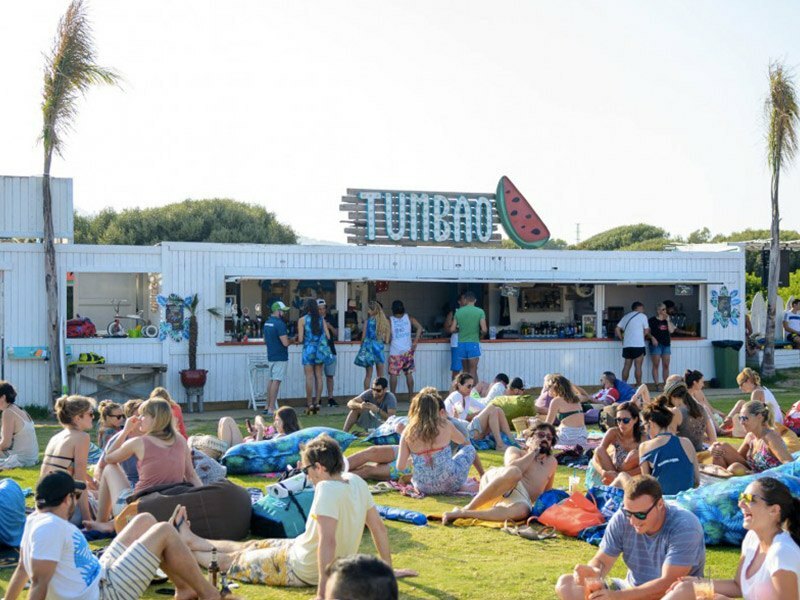 In this Chiringuito, you can go all day long so if you want to have fresh juice, eat a good burger or a salad, start to party after a long day of kiting, go to Tumbao (Prices are a bit expensive for Tarifa). 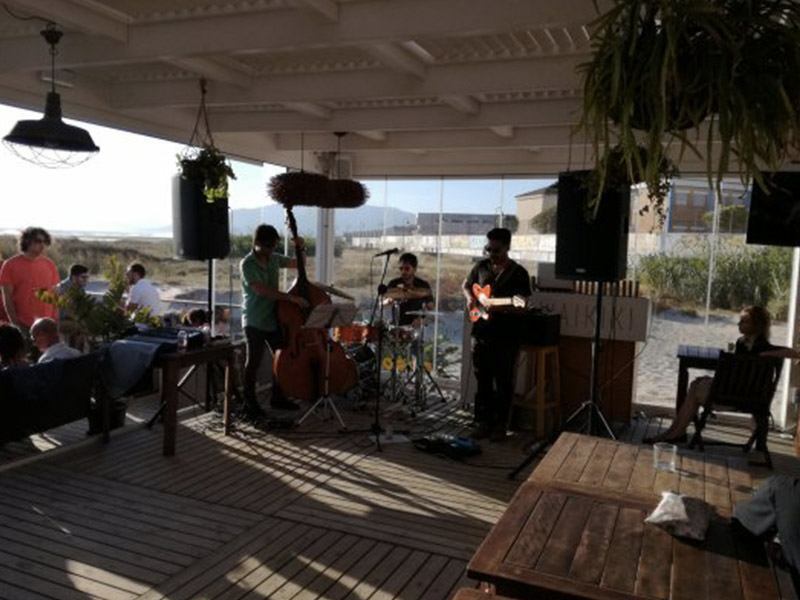 Chiringuito Tangana is one of Tarifa’s references. 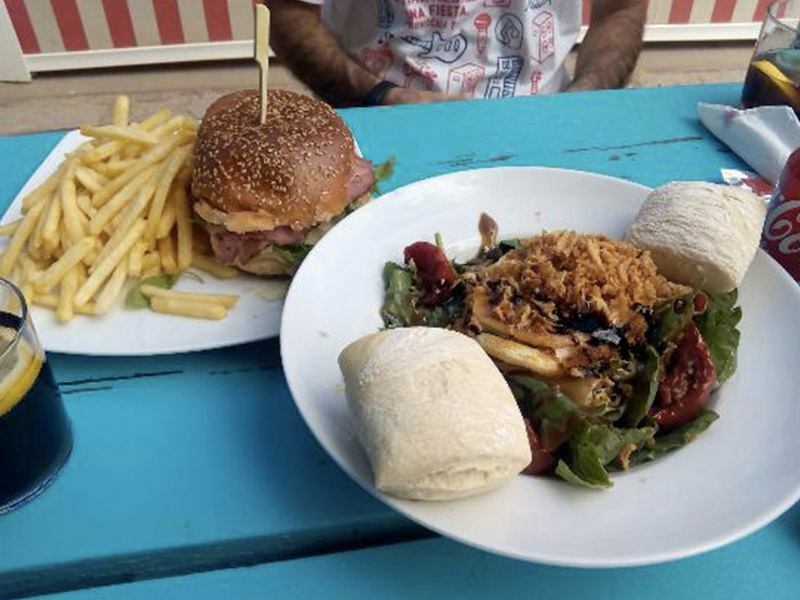 It is located by the beach and you can enjoy cañas, tapas or a menu prepared with healthy and light food, perfect for your day at the beach: Asian salads with fresh tuna, tuna tartar, calamares, sandwiches, burger, etc. with very affordable prices. Just right and behind the bar, you’ll find a hidden garden, less noisy and crowdy, where you can relax or have a look at their clothes shop. 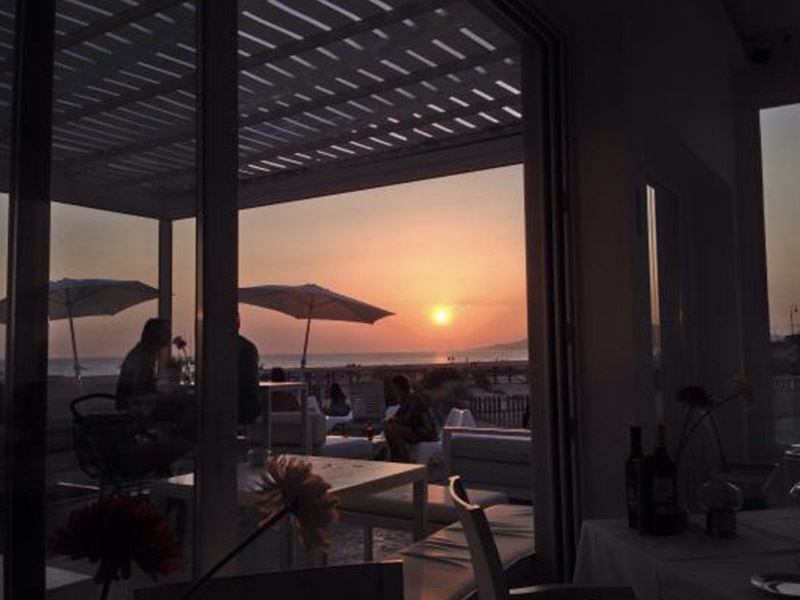 In addition, at Chiringuito Tangana, you will also have access to a wide range of cocktails and drinks so that you can put the finishing touch to your day with a fascinating sunset. Try el “Tinto de verano”, after a kiteboarding session, this local drink is really refreshing. 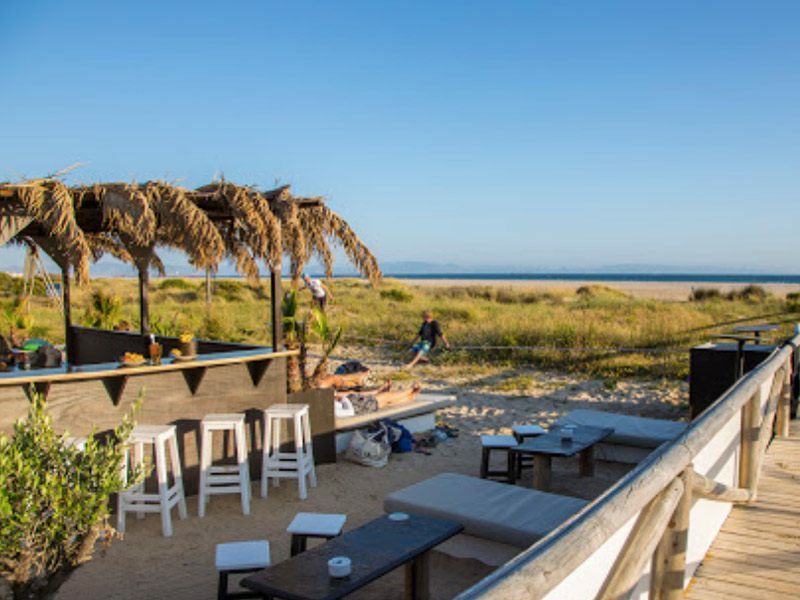 Find there three perfect places, close to “Los Lances” beach for having a drink in Tarifa while enjoying the beach and beautiful sunset! 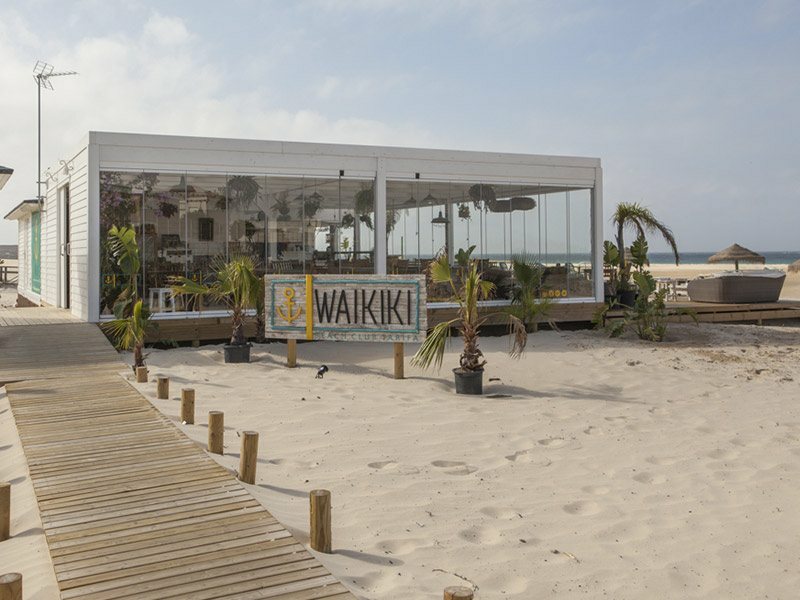 The Waikiki Chiringuito is a nice and convivial beach bar where you can have a drink or have diner. It is also a perfect place for listening to music since they often organize concerts or musical events. You can also privatize the bar for special events (birthdays, farewell drinks…). And for yogis, get the opportunity to have a yoga class on the beach at The Waikiki every Monday, Wednesday and Saturday at 9:30am (12 euros per session). 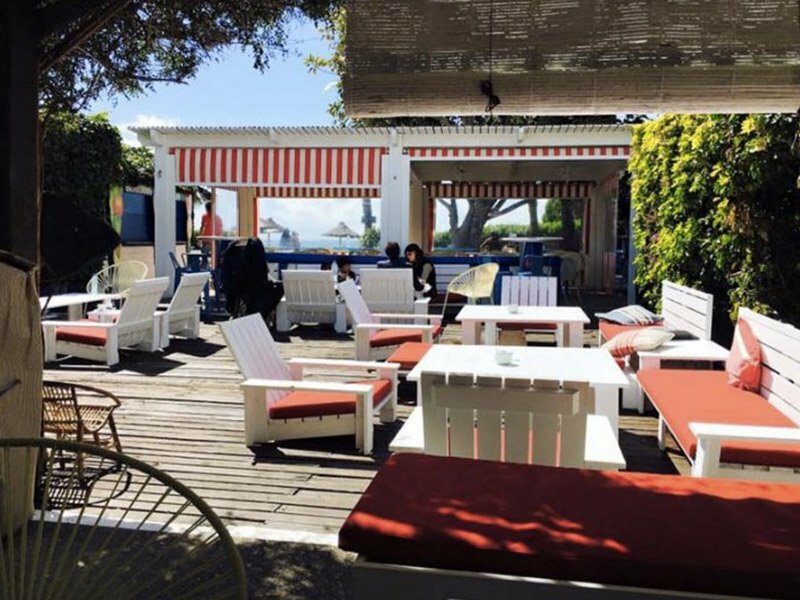 The Café Del Mar, is a nice place for local and international food where you can listen to the best electronic music of the moment and the most refreshing cocktails. Vegetarian? They proposed a large choice of vegetarian meals. The kitchen is open non-stop from the middle of the day until the night. They are also closely linked to the artistic world and therefore offer exhibitions and shows. 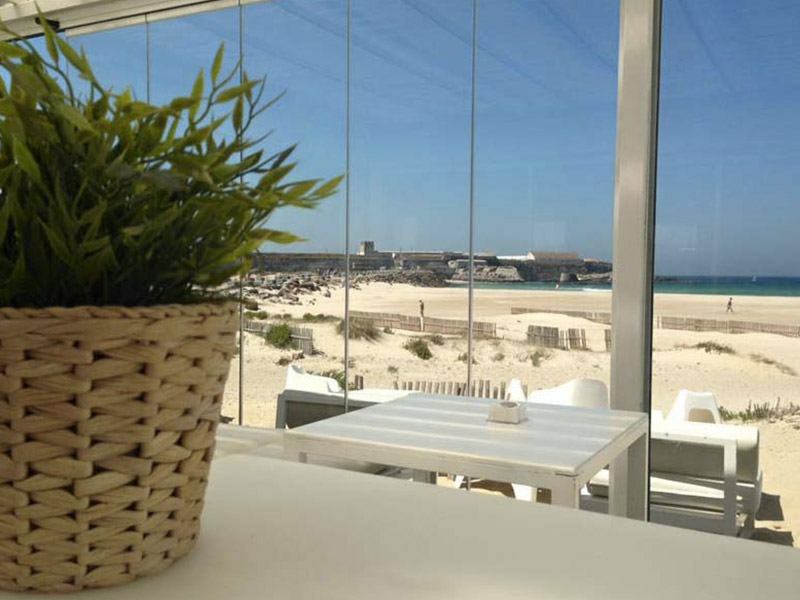 An ideal place to enjoy the essence of Tarifa beach in a young and open environment. The decoration and the atmosphere are very nice and they also organize different concerts or broadcasting of football. 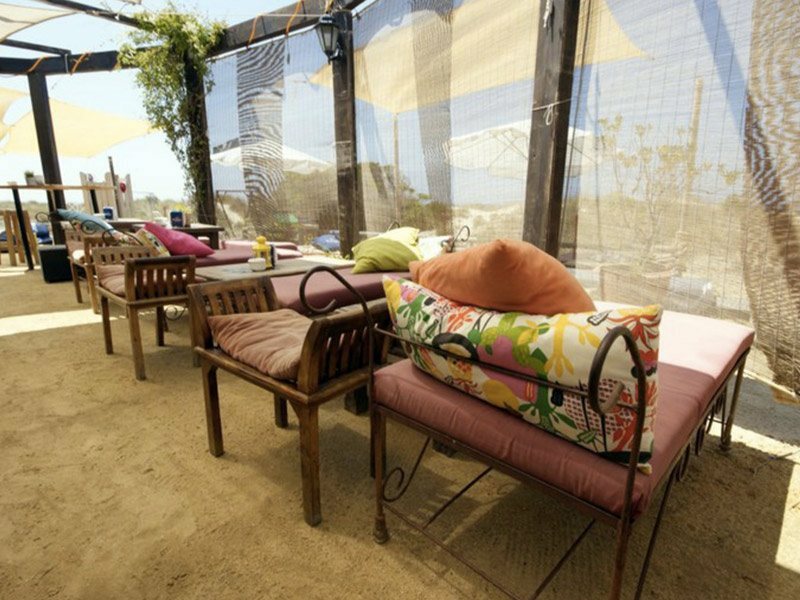 The Chiringuito Lounge-Beach is located in Tarifa on the way to the island. This is a gastronomic establishment where you can enjoy Mediterranean cuisine, fresh and seasonal: A proposed refined cooking about fish and sea food in a space with a breathtaking view of the sea. 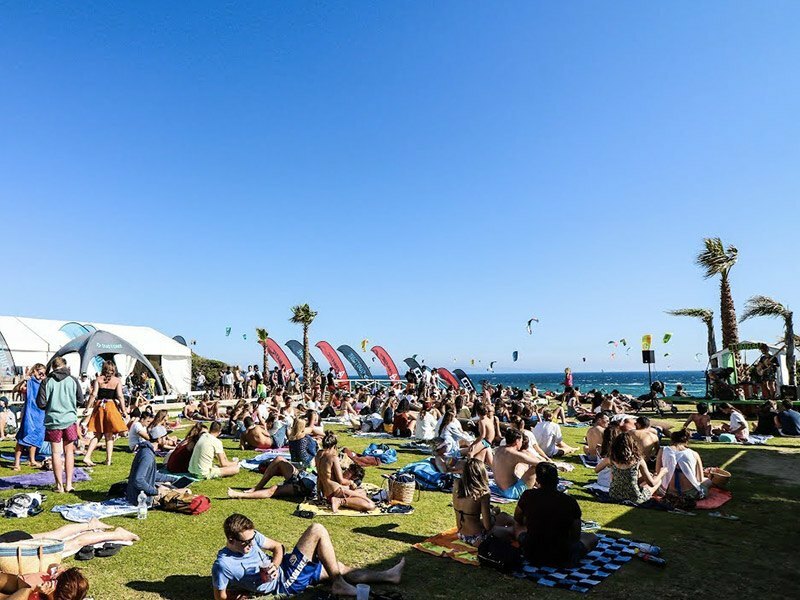 This place is particularly popular for kitesurfer lovers since it is a very good spot to observe Pro Riders performances during strong wind conditions. Go there a bit before the sunset, rest on their sofas drinking a Nordest Tonic (A special Gin from Cadiz) just in front of the sea! 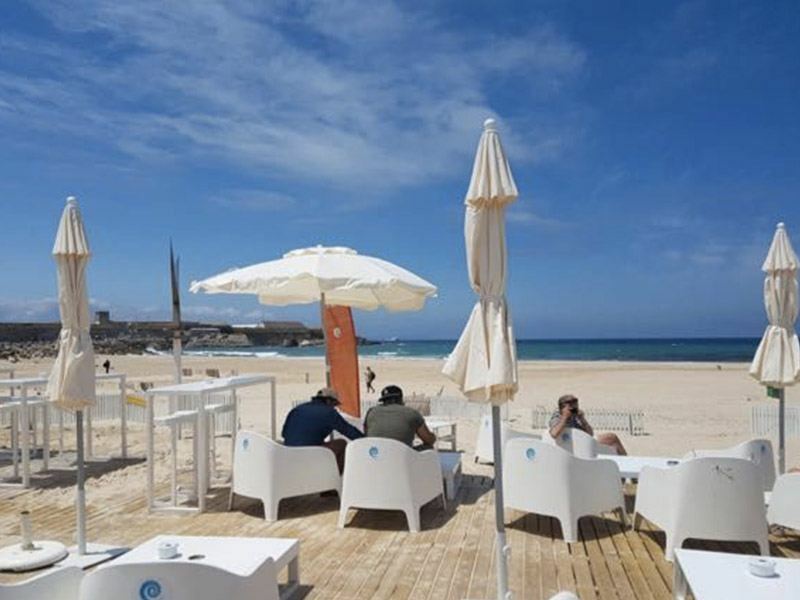 Let us know what’s your favourite place to chill in Tarifa? Leave us your suggestions in a comment!